Never use your fingernails to pop a pimple. Red, pus-filled pimples can certainly draw attention to your face -- but not the kind you want. You likely want that pesky zit off your face, but don't take matters into your own hands without a little extra caution. 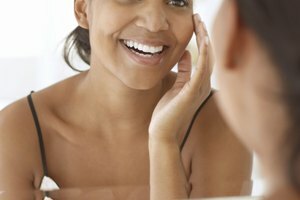 With a few beauty tips at your disposal, soon you'll be fresh-faced and attracting notice for all the right reasons. Over-the-counter spot treatments work by gradually decreasing the size of a pimple and getting rid of bacteria. Most topical acne medications have either benzoyl peroxide or salicylic acid. Dr. Erin Gilbert, a dermatologist from New York, tells the “Huffington Post” that salicylic acid is less irritating as it has anti-inflammatory properties. Consider this product if you have sensitive skin. While many pimple products promise overnight results, the fact is that it can take a few days to get rid of a breakout. Instead of hiding your face from the world, cover up imperfections with makeup. After applying foundation, use a small amount of green-tinted concealer to get rid of redness from pimples, and top with powder to blend into your skin. 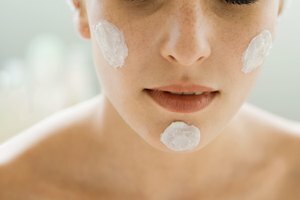 Look for a concealer containing salicylic acid or benzoyl peroxide for the most benefit. If your pimple is on the verge of popping, wash your hands and the area with antibacterial cleanser. Carefully use a clean cotton swab and apply light pressure to get rid of the gunk. Wash your face and apply toner afterward to prevent bacterial from spreading. Call your dermatologist if you fail to see improvement -- picking acne will only lead to scarring and infection. Cherney, Kristeen. "The Best Way to Handle a Pimple." Synonym, https://classroom.synonym.com/way-handle-pimple-17995.html. Accessed 25 April 2019.